Aside from freelance writing, becoming a virtual assistant is another way you can have an additional income at the comfort of your home. It is an in demand opportunity since a lot of individuals and businesses need someone who can offer various services in an affordable and convenient way. Setting your heart and mind to be a virtual assistant means committing in giving your skills and services to your clients. Thus, it is of high importance that you first assess whether becoming a virtual assistant is really for you. What Does Virtual Assistant Do? Becoming a virtual assistant starts with building a solid foundation. Here are tips on how you can start earning by assisting virtually. Virtual Assistance offer a variety of services just like mentioned above. This means you need to establish what services/skill you will offer to the public. Know where you excel most whether its writing, doing graphic design or simple data entry. You can research for the complete list of services every virtual assistant can choose to offer. Do not offer something you aren't familiar because you will certainly loose your clients. Just like my tip in freelance writing as a career, you need to get educated if your goal is to become successful. Read virtual assistant themed websites and learn from the experience of other established VAs. It is also helpful for you to attend courses or seminars that can harness your skills. You also want to keep on growing as a virtual assistant. Your goal is to move from becoming a freelance virtual assistant to becoming a virtual assistant business owner. So take your time and get tons of learning in how to handle the said field. If you are just starting to become a virtual assistant then you can promote your services via Facebook or by talking to people you know that you can be a help in their business. You need to involved in places where your potential clients hang out. Broadcast what you can do for you will never get clients if you don't become active and sell yourself to others. The more people you know the better. I encourage you to network with other virtual assistance and go roam around to people who can help you get known. It is a tough competition but in the online community, Filipinos is the race to beat. We are known because of how skilled we are and because we are always give our prompt service. If you haven't like SavingsPinay on Facebook then please do. It is a great network where you'll get to know how to earn money online. I hope that this post helped you! 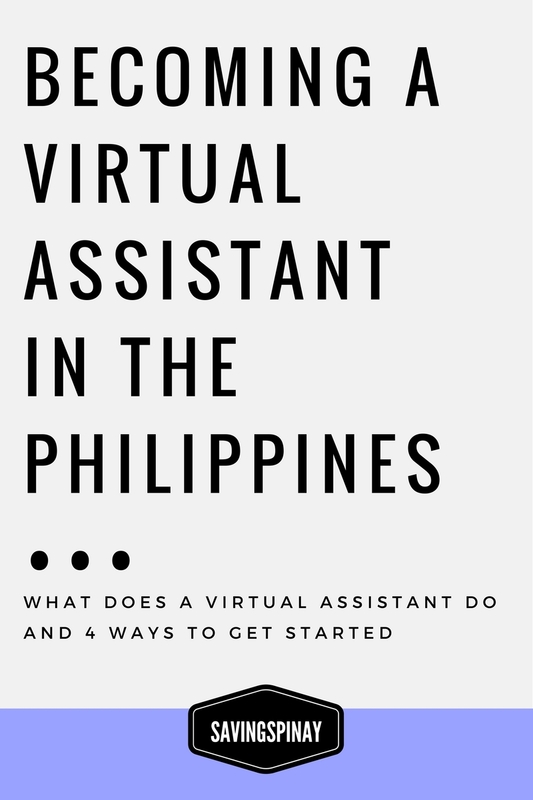 Are you interested in becoming a virtual assistant?